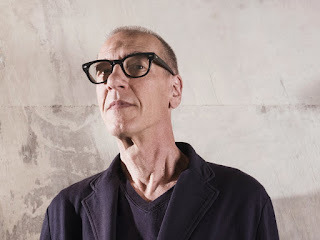 Nuova opportunità a Londra di avvicinarsi - e di immergervisi - a uno dei più importanti lavori di Christian Marclay degli ultimi anni, The Clock: in visione alla Tate Modern fino a gennaio 2019. 'The Clock' is constructed out of moments in cinema when time is expressed or when a character interacts with a clock, watch or just a particular time of day. Marclay has excerpted thousands of these fragments and edited them so that they flow in real time. While 'The Clock' examines how time, plot and duration are depicted in cinema, the video is also a working timepiece that is synchronised to the local time zone. At any moment, the viewer can look at the work and use it to tell the time. Yet the audience watching 'The Clock' experiences a vast range of narratives, settings and moods within the space of a few minutes, making time unravel in countless directions at once. Even while 'The Clock' tells the time, it ruptures any sense of chronological coherence. 'The Clock' plays with how audiences experience narrative in cinema, examining the conventions and devices through which filmmakers create a persuasive illusion of duration. When watching a film, an audience is removed from normal time and swept up in a new register that corresponds to the narrative at hand. 'The Clock' transforms this condition of cinema: time, in this case, corresponds precisely to the actual time beyond the work. The audience will have the peculiar awareness of experiencing a fictional event, or countless events, at what appears to be the same time as when they watch it.